A hotel remodeling contractor you can trust to get the whole job done on time! We can take care of nearly every possible aspect of your hotel remodeling job including the all important bedroom. The hotel business is not easy. It’s always a constant struggle to stay ahead of changing trends and keep your facilities in top condition. If your hotel is starting to fall behind then one of the best ways to boost bookings is with a hotel renovation. However, a hotel renovation is a major undertaking. You need the help of a versatile contractor who is able to perform the various remodeling services that you require at a consistent level of quality. You also need to make sure that the contractor is able to meet strict deadlines since the last thing you want is to turn away customers because rooms aren’t available at the time due to work being done. My-Pros is the hotel renovation contractor that you need in Greater Rockford. We’re experienced with all the various services that you need including commercial roof repair & roof replacement. siding installation, and (most importantly) various interior renovation services including bathroom remodeling, kitchen remodeling, flooring, and more. When you need a contractor capable of transforming your whole hotel then look no further than My-Pros! We offer free estimates throughout Rockford, Loves Park, Belvidere, and the surrounding area. In order to stay competitive in the hotel business, you need to have a beautiful and well-maintained property. 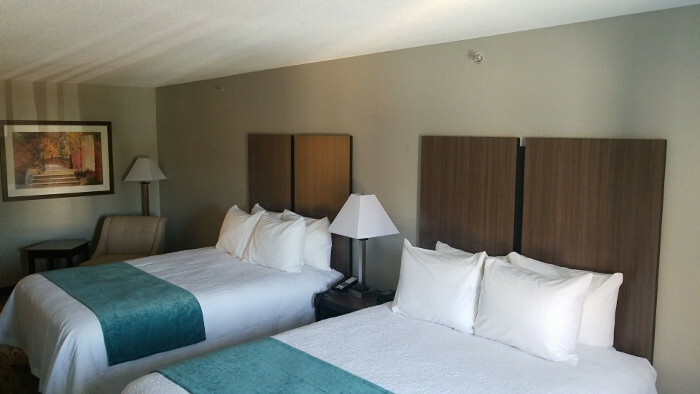 As a trusted remodeling contractor serving Rockford, IL, we were chosen for this hotel renovation project. In order to remodel this Grand Ballroom, we installed new carpeting, replaced the windows, and installed a new dancefloor. Get started on hotel remodeling today by scheduling your free estimate! While every business should keep its facilities in excellent shape, this is extra important for any hotel. Don’t forget that the looks of your facility are a major part of your actual business model. If you let your facilities lag behind or, worse yet, fall into disrepair then you risk falling behind your competition. My-Pros can help you stay ahead of your competition with our comprehensive hotel remodeling services. When you work with us you can always count on not just quality workmanship, but also precise scheduling and a constant attention to deadlines. Schedule your free estimate today by giving us a call at 1-844-795-9649 or by clicking below!